Essential French Grammar is a student-friendly French grammar designed to give learners a firm foundation on which to build a real understanding of both spoken and written French. Clear explanations of grammar are supported by contemporary examples, lively cartoon drawings and a variety of exercises. a contemporary primary source or literary extract to illustrate grammar in context. 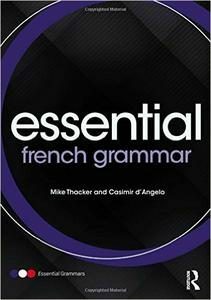 A glossary of grammatical terms in French and English, useful verb tables, and a key to the exercises are also provided, making this an ideal resource for both independent and class-based learners. Essential French Grammar is an innovative reference grammar and workbook for intermediate and advanced undergraduate students of French.